Police are investigating after a body was found in a city centre yesterday (Saturday). A 33-year-old man was found dead in Canon Lane, Chichester, at 10.18am, said Sussex Police. A 45-year-old man of no fixed address has been arrested on suspicion of supplying Class A drugs and is currently in custody, said a spokesperson for Sussex Police. The death is not being treated as suspicious, the spokesperson added. The area near the South Street entrance to the Cathedral was cordoned off at the top of Canon Lane for some time yesterday. 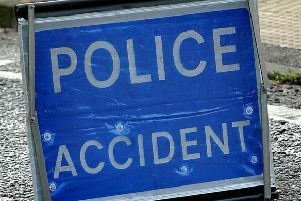 A number of emergency services including four police cars and two ambulances were called to the scene.